At least six more people including a college student were killed and several others seriously injured in separate road accidents across the country on Sunday. In Dinajpur, two persons including a pick up van driver and helper were killed when a truck rammed them in Nashipur on the Dinajpur-Rangpur Highway of the district. The deceased were identified as Golam Mustafa, 52, son of late Afaj Uddin, driver of a pick up van and helper of the truck Shahidul Islam, 48. Redowanul Rahim, Officer-in-Charge (OC) of Kutwali police said the news media. In Tangail, at least two riders of a bike were killed in a road crash in Bashail upazila of the district early Sunday. The accident took place at Taltola area on the Hakimpur-Joshihati road of the upazila. The deceased were identified as Shaown Khan, 27, son of one Lal Khan from Kamotia village and Jamil, 25, son of one Billal Hossain from the same area. S M Tuhin Ali, Officer-in-Charge (OC) of Bashail Police confirmed the matter to the media. In Moulvibazar, a college student named Suman Miah, 24, was killed when a CNG run auto rickshaw hit him in Komolganj upazila of the district on Sunday afternoon. Arifur Rahman, Officer-in-Charge (OC) of Komolganj Police Station said. 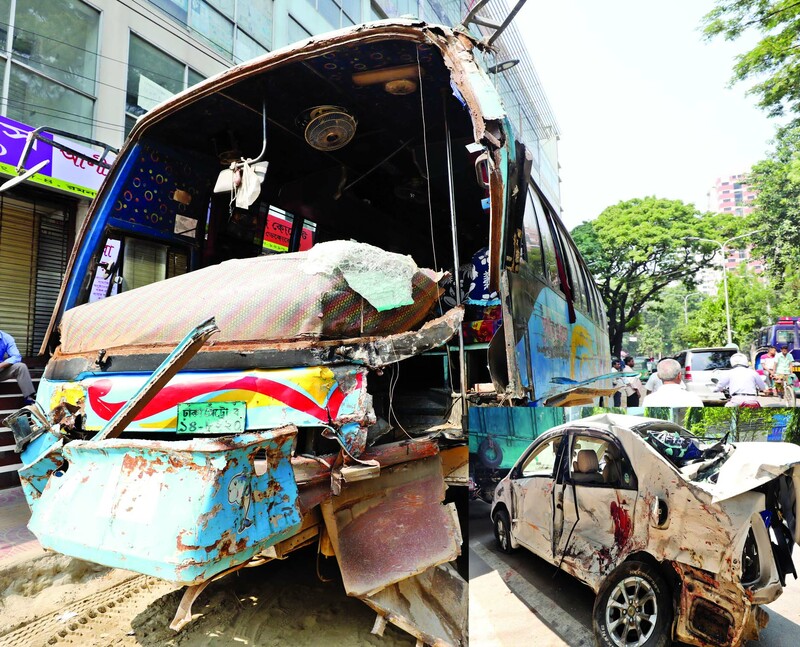 In Ashulia, an old person named Mannan Ali, 65, was killed when a bus rammed him in Anarkoli Bus-stand under Savar of the diatict on Sunday morning. Sajjadur Rahman, Sub-Inspector of Ashulia Police told the news to the media.